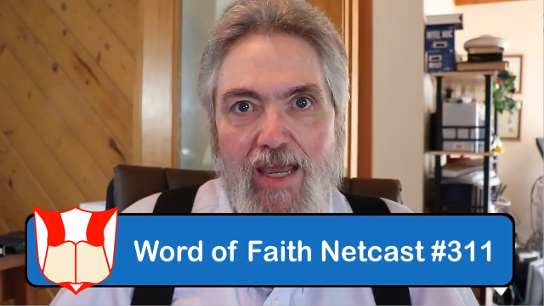 Netcast #311 - Video - "The Believer's Benefits" | Word of Faith Ministries | Dr. Bill Bailey Word of Faith Ministries | Dr. Bill Bailey | "Proclaiming the Word of Faith, Showcasing Ministries, and Training People to Fulfill the Word of God!" Dr. Bill updates us on SpeakFaith.TV’s new speakers, features, and updated web site. And, he covers WOFR.org, including new speakers and news updates. During the teaching portion of the Netcast, Dr. Bill discusses the benefits of being a believer! This entry was posted in Video Netcasts and tagged in believer, benefits, Dr. Bill Bailey, faith, future, God, ICFM, Jesus, personal, SpeakFaith.TV, WOFR.org, Word of Faith Ministries.